The simulator system is in two parts. When used together it is designed to completely simulate the environmental conditions present inside a human lung. An inhalation can be recorded in the field on a Si-Plan profile recorder and replayed on the electronic lung so that different drug doses, breathing rates or other environmental factors can be tested. 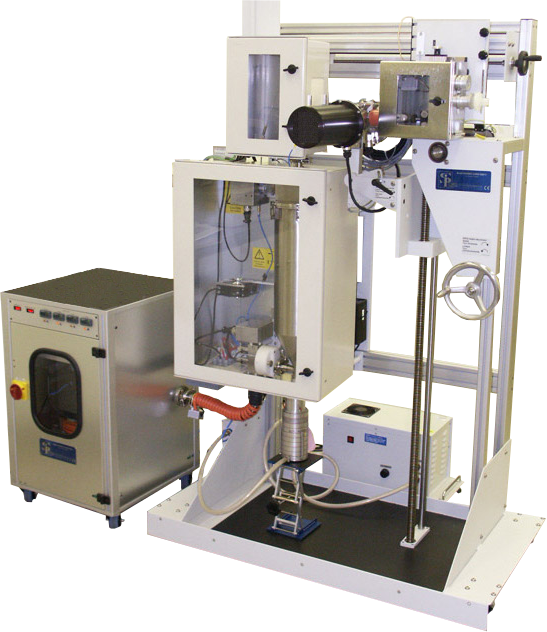 The contents of the lung (suspended particles) are drawn through a partical sizer, typically and NGI device. Facility to heat the breathed air to 37ºC (body temperature) and develop 100% relative humidity. Large chamber for particle settling prior to being evacuated through an impactor particle size analyser. Heated enclosures maintain the complete airway at elevated temperatures.